I have many exciting projects going on inside and outside the classroom. I will make sure to let everyone know when my site with more information, pictures, and videos are available! Project Infinity is a terminal based simulation that unites art, hacking, and storytelling into one world that the player must progress through using realistic network security tools. I joined a group of network security students at the end of 2015 to begin programming this game in C++. It is now in its final semester of development, and I cannot wait to see the finished product. As a part of a special topics class, we're using new technology that includes a 4k 360 degree camera to go around the school and create a VR app for mobile phones. It is essentially taking my job and putting it into an app! I've never worked in an engine like Unity or Unreal before, so there will be a lot to learn. 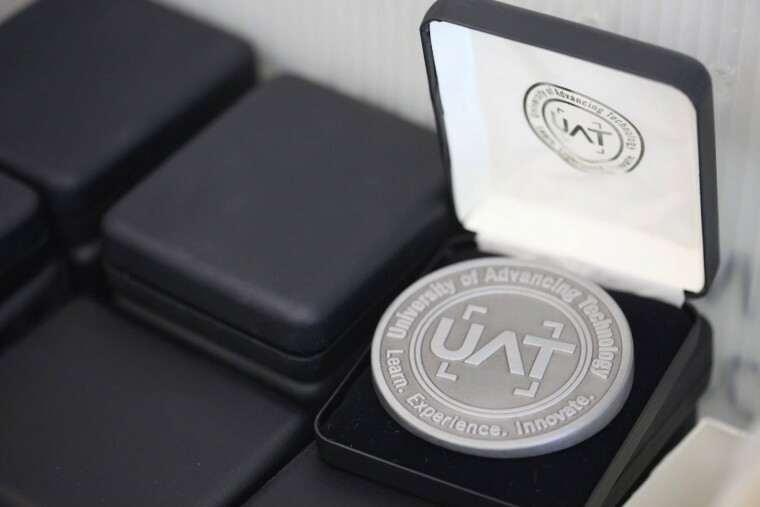 As a part of another special topics class, it is our class's job to carry on the tradition of showing off new, interactive technology that the attendees of UAT's graduation can participate in. This will definitely be one of the coolest classes I've ever taken, and am excited to see what we come up with to show off! As all UAT students know, we must take an internship before graduation. Luckily, with the networking we have here, I was able to easily land an internship at a new prototyping and VR company called Tiny Vision. I will be working there all semester to build a website from the ground up including company email and cloud.